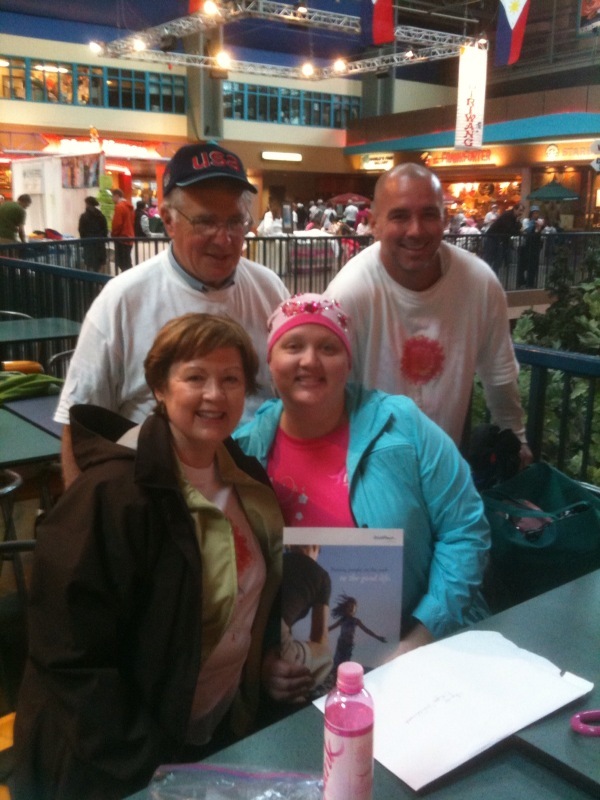 This was my third year participating with the “E-Team” at the Komen Race for the Cure. We were the largest friends and family team again this year, with 106 members. We rocked! My generous friends and family donated a lot this year, so as an individual fundraiser I raised $2700 (at last count, our team had raised over $17k!). The Top 100 Fundraisers got some special treats and were entered into a raffle. Well, I won the grand prize! Donated by WorldMark resorts, I got a certificate for a 7-night stay in any of their 1-bedroom condos at any resort. Whoo-hoo! I called to make my reservation and of course Hawaii resorts were booked out for more than a year. But then they gal made an awesome discovery. . . someone had just cancelled their reservation for a 2-bedroom in Kona. And it was for 6 nights, not 7, so they let me buy a few extra points and I ended up getting the 2-bedroom condo, with kitchen, for six nights for $75. It was meant to be! We leave June 30. Yup, in like three weeks I’m headed to Hawaii! My parents are coming, and then last night I found out my friends Matthew and Danny can come as well. All these are people who deserve a break and a thank-you for helping me so much during chemo. I am super excited!! Nice work Karen. I’m so happy you are a big winner, and Hawaii sounds fabulous right now. We’re all pretty sick of rain. It was fun to be a part of the E Team. Karen: it has a been a little while since I checked into your blog – didn’t know you & the gang were doing the Race for the Cure this past weekend…I ran the women’s 5K with my 15 year old daughter which was quite fun. I always get emotional when I do this race and run with all the “in celebration of” pink signs in the crowd. Yippee, how exciting to be going to Hawaii!! !